The 20th annual DEMO Conference wrapped up yesterday, in Santa Clara, CA, just a stone’s throw from major campuses for Avaya, NetLogic and Yahoo!. The Hyatt Hotel where the even was held was fittingly central in Silicon Valley, even if many towns claim to be the “heart” or the “capital” of this dynamic innovation region. The DEMO Conference was hosted by Matt Marshall, the founder of publication VentureBeat, which assembled more than 90 companies to present their technologies over two full of demonstrations. Entrepreneurs came from Eastern Europe, Southeast Asia and across the U.S. to participate, and to debut their products before the world, and more than 1,000 attendees who were present. Companies such as Tivo and products like Boingo Wireless, a ubiquitous feature of airline travel, first met the public on the DEMO stage in years past. Song search app Shazam is just one of the many powerful, transformative technologies to emerge from the DEMO stage. 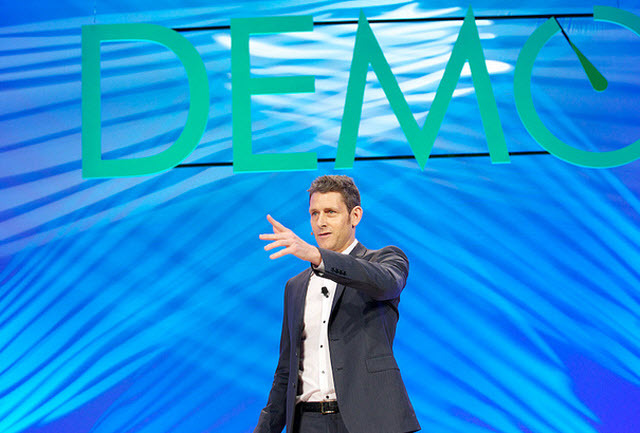 Below we’ve assembled 10 top companies from the 2011 DEMO Conference worth a closer look. While it doesn’t have all of the functionality of Final Cut Pro, or Adobe Premier, the Web-based tool has enough filters, effects, transitions and that pack a suitable punch into a free app. Wevideo has tiered pricing, with advanced functionality available on demand, for those who need it. And there’s reason to believe that elements currently missing from the current offering could be provided by the developer community as part of a marketplace for motion graphics, filters, tutorials and other elements. Did you know that the average American household has $7,000 worth of unused items sitting around? You could sell them at a garage sale, or online using eBay or Craigslist, but the process would be tedious, time consuming and you’re not guaranteed of any result. Tradepal fits squarely into the realm of collaborative consumption, where startups like car sharing service Getaround, or Thredup, where people can get value from the many objects they own, but don’t utilize. Tradepal allows you to buy, sell or barter for items leveraging the social graph to find people in you area and who are part of your extended trust network. “The concept is around the person, not the item,” says Karim Guessous, co-founder and CEO. Tradepal’s semantic search technology is designed to help you find the right buyer, and potential create repeat business when it connects you with a fellow fly fisherman, or a vintage camera enthusiast. There are currently three transaction methods: A giveaway, a one-to-one sale, and a hybrid sale, where an item is traded for some value plus cash. OneSchool is an integrated mobile app that bridges the gap between a college student’s academic and social lives. The purpose is to connect a student with all the information he or she needs for success in the classroom and beyond, including course info, bus times for smarter transportation management, course info, student directories, campus news and local deals. The OneSchool team was part of the AlphaPitch college program, which provided a scholarship and exhibition space for young, up-and-coming entrepreneurs to participate in this year’s conference. David Adewumi and Kathleen Warner of the OneSchool team drove three days from State College, PA, where they are students at Penn State University, in order to participate in the conference. As a platform, it’s easy to layer new data sources and features onto the tool as it evolves, in an effort to better serve the college student. And today more than 50 percent of college student today are accessing the Internet daily through their smart phones. OneSchool’s user adoption is growing faster than Facebook did in its early stages, and both began on college campuses. Upverter hopes to do for product design what Google Docs did for group document editing with its web-based prototyping tool. With Upverter you can move pieces around, share your designs with remote team members, and travel over timeline to track every change that has been made. Prototyping of circuits is an intensely slow process, and there are few collaboration tools to make the job simpler. And they simply don’t have the Web in their DNA, making low-tech solutions preferable, such as drawing designs on a napkin, and sending out a picture with a cell phone. Upverter will speed the time to market for new products, and help in other ways, such as creating a library of product designs, which can be modified for new uses, without having to start from scratch. A huge opportunity for Upverter is the ability to enable product designers to source and order the components they need directly from an online catalog which will accompany their drafting tool. medAfrica from Kenyan startup Shimab is a phone-based medical reference and real-time public health tool meant to dramatically increase the well being of Kenyans, and eventually people throughout the developing world. 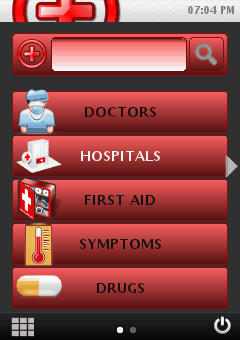 Similar in many ways to Indian company mDhil, the smart phone version of the app allows a sick individual to check his or her symptoms against an encyclopedia of ailments, such as fever, swelling or other maladies, and the tool will allow them to call a relevant medical professional with a single click. There are 40 million people in Kenya, and only 7,000 doctors nationwide. There’s too much knowledge locked up in too few heads, as co-founder Mbugua Njihia quipped from the stage during his presentation. Their app helps to narrow this knowledge gap in many important ways. And while smart phone penetration is steadily rising throughout Kenya and Africa as a whole, the real power comes from medAfrica’s ability to deliver health information to remote areas through the use of SMS. What works in Africa can work anywhere, in terms of scale and internationalization, and the team believes that if they can reach 200 million downloads, at $10 of revenue per customer per year, they will be a billion-dollar company within five years. Unrabble is a cloud-based hiring solution that allows employers to see candidates as much more than a resume or a Linkedin profile, by surfacing people on the strength of the keywords in their employment history. This data-driven approach sifts through hundreds of resumes instantly, and can display only those who are the best fit, based on a variety of qualifications. And Unrabble uses an interactive career timeline that visually indicates what a person did during any stretch of employment, along with links to co-workers and their social profiles, who can verify the accuracy of any information given. Unrabble also allows private communication between the job seeker, and the hiring organization, and the hiring manager could create challenges to test a candidate’s knowledge, such as asking for a mock marketing plan, before agreeing to an in-person interview. Unrabble is a company that eats its own dog food, as people often say in the Valley. The team used its own software to make several key engineering and communications hires. Describing itself as Flipboard meets Tumblr, Clrtouch powers human/tablet interaction through the web. Co-founder Mark Spates compared tablets to the hot, new girl at the dance. Everybody wants to dance with her, but far too many are tripping over their own feet. Spates says the Web is an oldie, but a goodie, and with Clrtouch, you can get the touchscreen functionality of the a tablet, without having to download any apps. Clrtouch pulls in your social streams, from Twitter, Flickr, Tumblr, and makes it easy to share and discover like-minded users. They’re also experimenting with some very cool new add units, which take touchscreen interaction and engagement to to a new level. tastejive is like someecards for wine. The magic of tastejive are the user generated reviews of wines that that make discovery part of the consumption experience. “You can consume recommendations, as well as wine,” says co-founder and CEO Paulo Lerner. tastejive is part of a lifestyle experience around wine, that lets you describe what you’re drinking around what you’re feeling, or what you aspire to do, instead of the obscure vocabulary of the seasoned sommelier. Does the wine excite you like the vision of a half naked super model, or make you gag? With tastejive, part of the fun is competing with your friends for the most colorful descriptions, even if the pros wouldn’t agree. Overrated, and with a checkered past; Kim Kardashian and Paris Hilton in a bottle. What’s next for tastejive could include a deals platform that allows wineries and wine distributors to incentivize reviewers who make frequent contributions to the site to write about them through offering discounts. When GPS functionality is added to the iPhone app, tastejive will be able to notify users when they’re near a store that carries the wine they’ve bookmarked. With a mission statement of “Wines in your language,” tastejive is looking to bloggers who are passionate about film, art, photography and other creative fields to talk about their wine choices in the lingo of their profession. The I-TOMB is very logical evolution of our increasingly virtual lives; the afterlife. Let’s face it, we’re all going to die some day, and few of us think about the digital legacy we’d like to leave behind, in spite of the fact a growing part of each day is spent churning out content. The I-TOMB is a virtual gravestone that will live on in the years after we’ve left the earth, giving our family and friends to pay tribute to our memory. With this service you can plan arrangements for your funeral, or leave behind messages and videos recorded for your loved ones, to be accessed once they have reached a designated age. Founder Jeans Mechelany spent 26 years in banking prior to this venture, and his focus is on the dignity and privacy of the deceased, as well as maintaining the most stringent levels of data security, with hosting from SafeHost in Switzerland. Schedulicity is an online appointment management and booking tool for SMBs to track customers, schedule employees and create pop-up offers. Unbooked appointments are perishable inventory for SMBs, similar to ripe bananas on a grocery store shelf that get moldy before they’re bought. While daily deals sites may be a shaky marketing proposition for many small merchants, Schedulicity makes it easy to broadcast flash deals on a single unbooked appointment time, and quickly broadcast the availability through a variety of social channels. And unlike a Groupon or LivingSocial, the Schedulicity flash deal is a single discount, to a single recipient, on inventory that would otherwise have been wasted. Schedulicity, which was a DEMOgod award winner, has booked 6.5 million appointments–equivalent to one every four seconds–and is on a run rate to book $.5 billion in service-related appointments for hair salons, massage therapists and other service professionals.